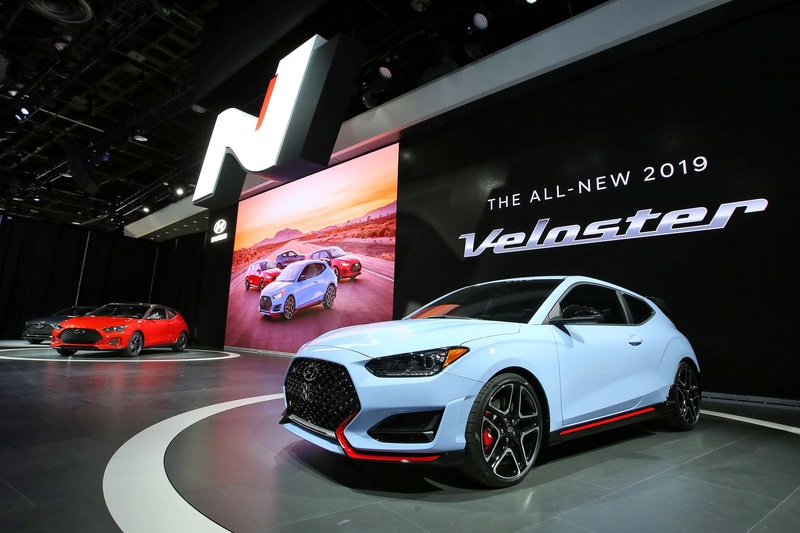 Hyundai has unveiled its next-generation Veloster and Veloster Turbo models at the North American International Auto Show in Detroit, revealing the next evolution of the popular sporting model. 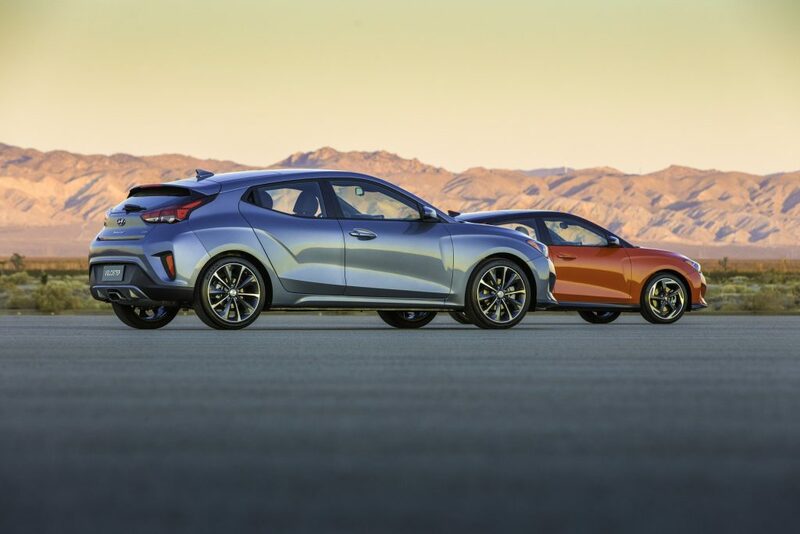 The first-generation Veloster has proved itself as a popular choice for drivers wanting to set themselves apart from the crowd, and particularly among younger buyers. It’s noted for its distinctive two-plus-one door asymmetrical body, with just one door on the driver’s side but two doors on the passenger side of the car. The fresh design was a collaborative effort of Hyundai designers from Seoul, South Korea and the U.S. design center in Irvine, California. 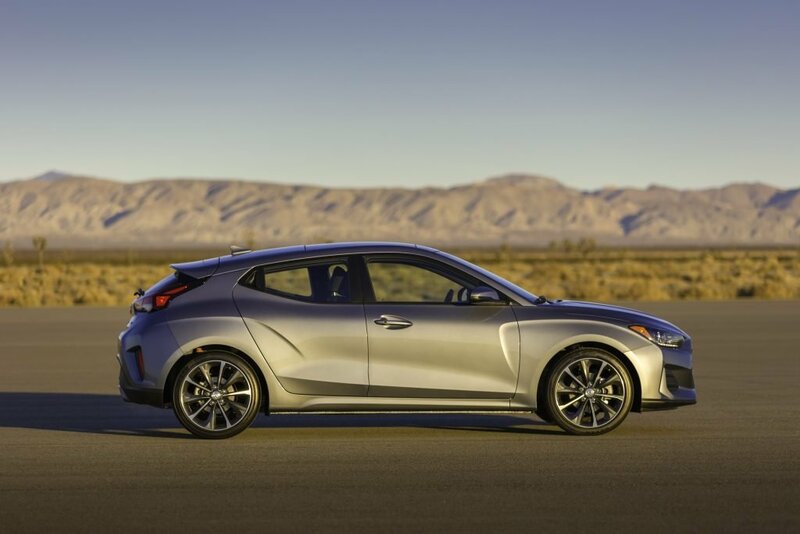 The new Veloster maintains the car’s unique character, but features a comprehensive exterior and interior redesign, powertrain enhancements, and a bevy of new and improved infotainment and connectivity features. Much of the redesign is derived from enhanced proportions and volume, while the new shape clearly conveys focused dynamic performance, even standing still. Its stance is more muscular, with higher-volume fenders and wheel arches for a more planted appearance, and the roofline has been lowered for a unique profile and a distinctive coupe-inspired essence. The front view is redefined by Hyundai’s signature cascading grille, with the shape morphed into a strong, three-dimensional design that sets the sport coupe apart. As well as Veloster and Veloster Turbo options, the new model will also come with a powerful ‘N’ version catering for true driving enthusiasts. This new range-topping variant is tuned to deliver up to an estimated 275 horsepower – compared with just over 200 horsepower for the Veloster Turbo – and a host of handling improvements and design tweaks to match. The second-generation Hyundai Veloster will begin production in Korea in March, and is expected to arrive in showrooms during the second quarter of 2018.